advertising, a development of their “Begin your own tradition” campaign. 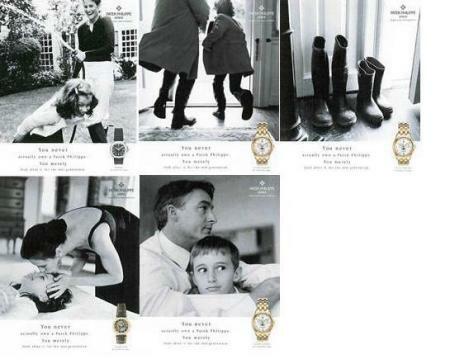 captures the essence of the Patek Philippe brand. look after it for the next generation”.